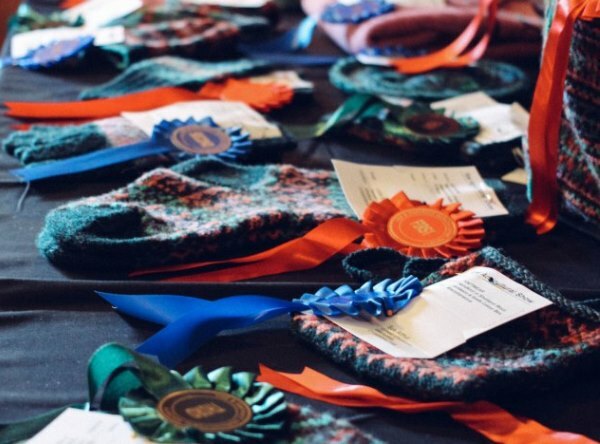 It’s perhaps a little early to be announcing next year’s dates when we haven’t even had this year’s Shetland Wool Week, but so many of you have been asking, and we appreciate that it takes a little bit of extra planning to organise a trip to Shetland. 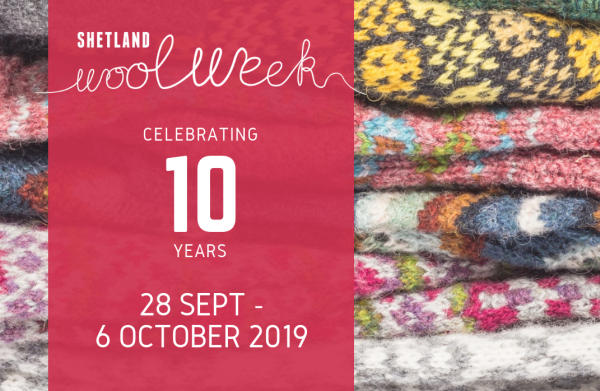 So… the dates for Shetland Wool Week 2019, which will also be our 10 Year Anniversary, are: 28 September – 6 October 2019. 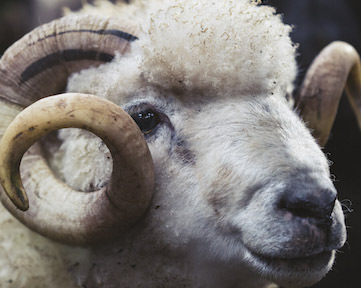 Add it your diaries, tell all your friends, and we hope you can join us to celebrate our tenth year of Shetland Wool Week! And now back to this year. We’re delighted to announce that this year we have partnered up with the supremely talented Shetland-based artist Gilly B, who has created an original paper cut design just for us. Some of you may already be familiar with her bold, colourful collages and fine art. We love what Gilly has done for us. All will be revealed at Shetland Wool Week when we will present our exclusive range of limited edition SWW 2018 merchandise which features different images from her design. As always, the range will initially be on sale to those attending SWW and thereafter we will add the items to our online shop. Shetland Museum and Archives is currently hosting a Gilly B exhibition which will be on display until the end of September. It’s stunning! 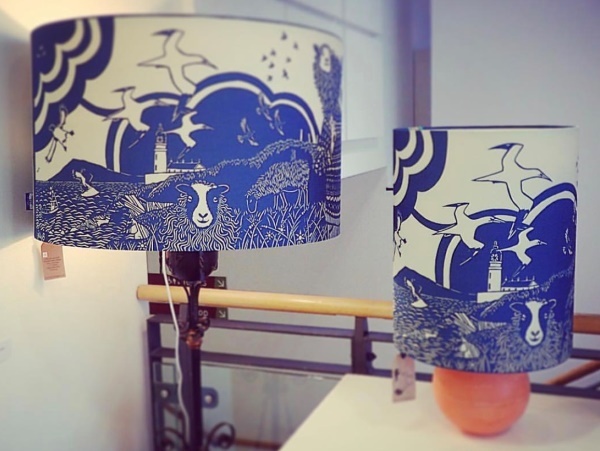 If you’re in Shetland you’ll be able to enjoy (as well as buy) her beautiful fine art paintings, dramatic paper cuts featuring Shetland imagery, as well as a superb range of lampshades and cushions. They really are very special and very ‘Shetland’ (hint: perhaps consider bringing a larger suitcase…). Remember the SWW Annual 2018 is available now to pre-order. Check out our social media (Facebook and Instagram) for sneak peeks at some of the garments featured. We understand the huge efforts that many of you go to attend our 9-day event at 60 degrees north. Equally huge is deciding what to wear! In terms of the weather, frankly, you just need to be prepared for all weathers – so layers are essential, as well as a waterproof and shoes that are made for walking! But of course, what we’re really interested in is what knitwear you’ll be wearing. 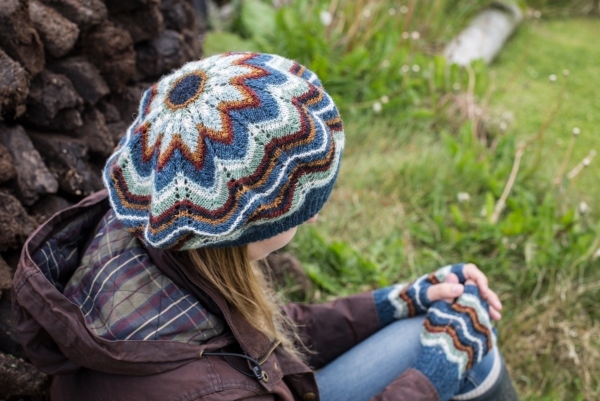 We would love to see what you’ve been working on – whether it’s a hat, cowl or jumper. If you’re on social media, upload a photo of your ‘SWW wardrobe’ and use the hashtag ‘swwmadebyme’ and we’ll share as many as we can. We’ll be encouraging everyone to do this throughout the week and will have a special area at the Hub for photo-taking. And even if you aren’t able to join us we’d love to see what you’d be wearing if you were! 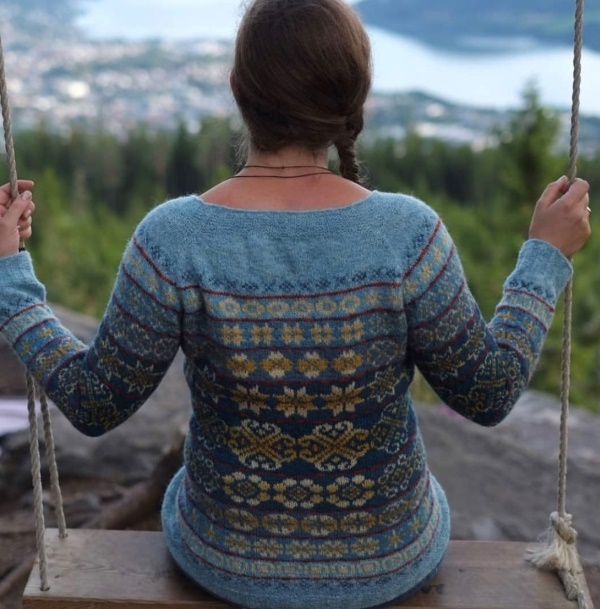 Thanks to Grete Sponga (@gretesp) for sharing this image of her SWW wardrobe: Tori Seierstad’s Fair Isle inspired design ‘Next Year in Lerwick’. Knitted in Jamieson’s of Shetland yarn it’s a bit of a show stopper. Can’t wait to see it up close! According to public transport we are now in the winter season and there have been some changes to the ferry and bus timetables. Whilst we try and keep the SWW website up-to-date, there is a chance that we will have missed some of the changes. Please do check ferry and bus timetables before travelling to avoid disappointment. We will also have timetables for you to look at in the Hub. Two changes we are aware of are the bus times to Brae/Ollaberry and the ferries to Bressay on the Sunday, so this will affect you if you are travelling to the ‘Another Happening’ exhibition in Ollaberry or the Chris Dyer Tour of Bressay. For now though, summer is hanging on by a thread. September is often a changeable month with beautiful shades of light. If you follow us on social media you’ll have seen some of our summer agricultural show posts. The Knitwear section is always popular, and the contributions certainly seem to be growing, which is great to see. One of the major draws is the ‘Colourbox Challenge’, which is sponsored by Jamieson and Smith. 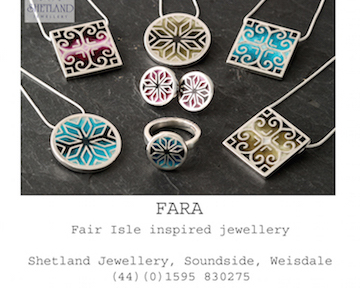 Eight colours are selected and the challenge is to create pieces of Fair Isle using at least five of the shades. We asked Ella Gordon to explain to us how the J&S Colourbox Challenge came about: “The first year we did the Colourbox was in 2012. Every year since then we have chosen eight shades of 2ply Jumper weight (except in 2017 when we used the Heritage yarn) and the knitter must then use at least five of the shades in a garment or accessory. The items are then entered into the Voe, Cunningsburgh, Walls (since 2016) and, from 2019, Unst Agricultural Shows. Depending on the number of entries they are then broken down into categories within the show programme. We go to the show and judge how well the colours have been put together. Every year, just before the first show of the year (which is Voe), we choose the next year’s colours. We do this so that the public can see the following year’s colours and we always get a burst of folk coming right after the shows, eager to take part the next year. The colours are chosen by myself (Ella) and Sandra at J&S, and as you can understand it gets trickier every year. 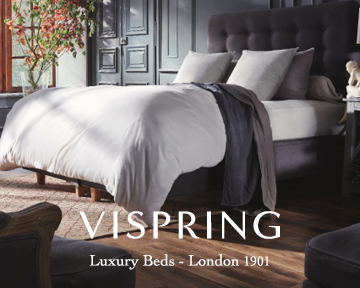 Although people probably think we deliberately choose tricky palettes we do actually take a lot of time to choose them. When you see the shades together they are definitely a ‘palette’ and almost have a theme. This is something we have developed over the years and I think we have become quite good at it. We try to keep the palettes quite unisex so they can be used for lots of different kinds of items so we tend to avoid having a very pink or blue palette – but of course within Fair Isle knitting the most surprising colours can be found within garments so if a certain colour really adds to the selection, we will use it. 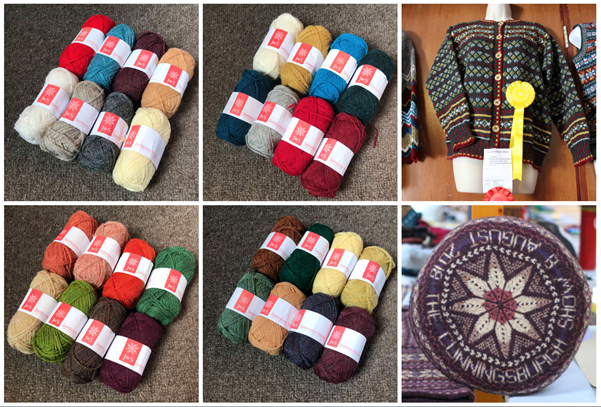 The best thing about the Challenge is seeing how the skilled Shetland knitters use the same eight shades to create such a wide range of items. It pushes people to put together schemes they would perhaps not typically use, and discover shades which they may not usually go for. By having the Colourbox at a number of shows it also allows knitters from all over Shetland to take part. Walls and Unst are catchment areas shows which means you have to live in a certain distance from the show to enter, but Voe and Cunningsburgh now allow entries from the whole of Shetland – so although you get some crossover of entries there are always extra and different things to be seen. 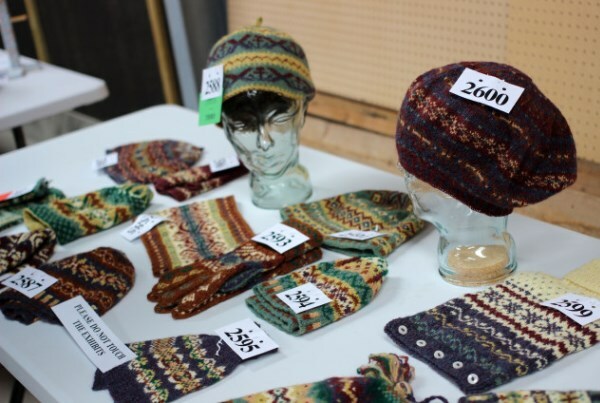 There is a wide range of styles of items which are entered: every year there are a number of ‘all over garments’ (either jumpers or cardigans with an all over Fair Isle pattern) Yokes, sleeveless vests and then a huge range of accessories: hats, mitts, gloves, cowls and home accessories like cushions. Since 2015 I have made sure to get lots of photos at the shows so we can do a blog about each one. This means there are a couple of years I don’t have photos for but we are hoping to have an exhibition next year at Wool Week with examples from every years’ Colourbox so I am really looking forward to working on that with the Whalsay ladies who helped us set up the Colourbox. 2017: Shetland Heritage Year – indigo, peat, snaa white, madder, moss green, silver, auld gold and berry wine. We’ll be sending out another newsletter before SWW starts with additional information for all those attending, so keep checking your emails.